ABBA’s Bjorn Ulvaeus rehearses with the cast of Mamma Mia before performing with them at the Olivier Awards 2014 at the Royal Opera House, London. Ulvaeus, 73, first launched the immersive theatrical and dining experience in Stockholm, Sweden, in 2015 and is now bringing it to the UK. With a plot based around a fictional taverna bar on the Greek island of Skopelos, where the exteriors of the first film were shot, Mamma Mia! The Party, turns from dinner into a 70s themed disco over the course of an evening. Speaking to the Press Association ahead of the UK launch of Mamma Mia! The Party, he said: “Yes, there are some tough times ahead of us. “But maybe, you know, during the Great Depression in the US, people were looking for entertainment more than any other period in history. “During bad times people want to escape the gloom, if only for a few hours. I think Mamma Mia! The Party would be that. “Mamma Mia! is a very British project. I am hoping still that Britain is part of Europe, which I think it is and should be. I don’t see why it shouldn’t be. Alongside Benny Andersson, Agnetha Faltskog and Anni-Frid Lyngstad, Ulvaeus was responsible for some of the best-loved hits of the 70s. Earlier this year he returned to the recording studio with his former bandmates to record the first new Abba tracks in 37 years. “We wrote those songs and recorded backing tracks, then the ladies came to the studio and we were in control room, all four of us together, for the first time in a very long time. “It was quite fascinating how memories came flooding back. “It was almost like yesterday. It only take 45 seconds. “We looked around and thought: ‘Yes, this is a very familiar situation. 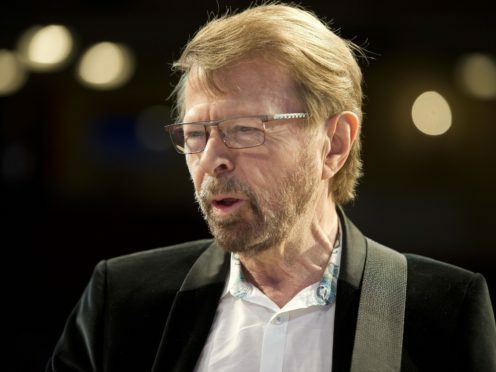 Ulvaeus enlisted QI and Great British Bake Off host Sandi Toksvig to translate the script from Swedish into English, adding this was made easier by the fact both nations share a sense of humour. 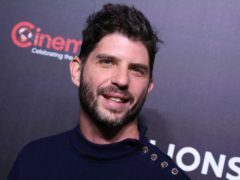 He added: “When I started to think about translating the script into English I thought I needed someone really, experienced, sharp, witty. “At the top of my list was Sandi. “We share a humour, the Swedish and English. “Sandi came up with a lot of things and will come up with more when we start rehearsing. Mamma Mia! The Party is set to open in late spring 2019, with tickets going on sale this autumn.